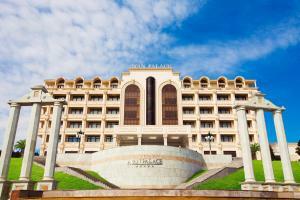 Set in Tovuz, Ayan Palace Hotel offers a fitness centre and spa and wellness centre. 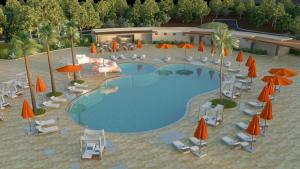 The hotel provides a spa experience, with its sauna, hammam and indoor pool. The accommodation features free WiFi. 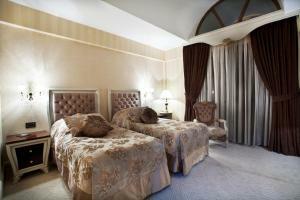 At the hotel, rooms have a wardrobe, a flat-screen TV and a private bathroom. 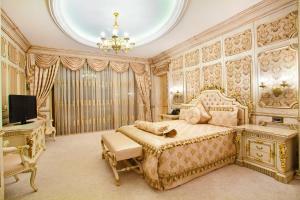 Each room includes air conditioning, and some rooms at Ayan Palace Hotel have a terrace. A buffet breakfast is served every morning at the property. The accommodation offers a terrace. Speaking English and Russian at the 24-hour front desk, staff are always on hand to help.